The Supreme Court directive to review more than 2,000 “true but undetected” cases in Gujarat is bound to expose police complicity. Bilkis Yakub Rasul’s case was closed. The police said it was ‘true but undetected’. It was labelled what is called ‘A Summary’ in legal language, and shoved aside. Fourteen of Bilkis’ family had been murdered. They were all escaping from an attack on their village Randhikpur in Dahod. After two days on the run, a jeep full of village leaders caught hold of them on a country road. They gang raped the women, killed them and their children. Bilkis was also assaulted. They killed her two-year-old daughter. For a while, she was unconscious. They mistook her for dead. That’s how she became the lone survivor. Although Bilkis named the perpetrators in her police statement, the police said there was not enough evidence against them. They called Bilkis “unstable”. The investigators said she had given differing statements at different times. But they did not even have an identification parade so that she could recognise her attackers. The case was closed – “true but undetected”. Supported by the National Human Rights Commission (NHRC), Bilkis approached the Supreme court. It ordered a Central Bureau of Investigation (CBI) inquiry into the case. That’s when the truth came tumbling out. The CBI found that six policemen and two doctors deliberately destroyed evidence and conspired to shield the accused. They were all arrested. Now, her case has been transferred out of Gujarat to ensure a fair trial. There are more than 2,000 such cases closed by the Gujarat police (see table). That’s around half of the 4,252 cases filed during the communal violence of 2002. (Frontline, Blocking of Justice, March 15 – 28, 2003). Recently, the Supreme court ordered that the Gujarat police should review such cases. It has asked the state government to set up a Grievance Committee with experienced police officers to look into these and other cases that the police botched up. A Special Investigation Team will work in tandem with the Committee. Acting on an application made before the court by Harish Salve, the Amicus Curiae (Friend of the court) appointed to help the court in the petitions relating to the Gujarat violence, the SC has felt that steps need to be taken to ensure that riot victims feel that justice is being done. Salve pointed out that all petitions before the SC pointed to the failure of the investigative machinery in carrying out a proper investigation and the pathetic conduct of trials that have resulted in the large scale granting of bails and acquittals. Call it the Gujarat police’s ‘Accused Protection Programme’. Jaggubhai is one of those covered by it. Everyday he sells vegetables to police constable Patil. Jaggubhai is accused of burning to death 13 people who were escaping in a tempo from the attack on their basti in Delol village. Though Jaggubhai meets constable Patil everyday, police records say he is ‘absconding’. And it’s business as usual. Sultana saw Jaggubhai and his friends burn her husband to death inside the tempo. For her, it’s not business as usual. She is in hiding in Kalol town. She hasn’t been able to return to her home. Witnesses have no protection, but the accused are immune. The Grievance Committee will also look into such cases where accused are listed as ‘absconding’ although they are roaming free. “If they are declared absconders, the law allows the police to attach their property. But it chooses not to,” says Mihir Desai, human rights lawyer, pointing out the police tendency to shield the accused. In Gujarat, several first information reports (FIRs), in which eyewitnesses identified politicians leading the mob, have mysteriously disappeared from police records. Nanubhai Maleikh, a witness in the Naroda Gaam case in Ahmedabad, was actually imprisoned for four months. In his police statement, he said BJP MLA Dr Mayaben Kodnani and VHP secretary Dr Jaideep Patel had instructed the mob that went on a rampage in his locality. Nanubhai was framed on a murder charged, along with 11 others. He still can’t go back home. Even the cases that have not been closed have not been investigated properly. Yet, when the indicted are acquitted in court, it’s the witnesses who are blamed. “It’s very difficult to prove riot cases. Witnesses turn hostile. They have to live in their villages. Even people who lodged FIRs have gone back on their initial statements,” says Narsimha Komar, district superintendent of police, Panchmahal. But the police did nothing to make sure that witnesses felt safe enough to testify. A similar task force was set up to inquire into Mumbai’s communal violence cases of 1992-93. Around 60 per cent of the riot-related cases (1,358 cases) were closed unlawfully during the tenure of the Shiv Sena-BJP government as being “true but undetected” (A Task Force and Unfinished Tasks, Frontline, Feb. 16 – Mar. 1, 2002). The Srikrishna Commission probing the Mumbai carnage had indicted the Shiv Sena, the police and powerful politicians for their complicity in the riots, in which 900 people were killed and 2,036 people, mainly Muslims, were injured. The Srikrishna report recommended that the ‘A’ summary cases should be reopened. A Special Task Force (STF) was set up by the state government, following directions from the Supreme court. The STF reopened only 112 of the 1,358 cases. Of these, all except 15 were closed once again. “It was very difficult to get evidence after all these years,” said P.K. Raghuvanshi, Additional Commissioner of Police in charge of the STF. Eight new cases were also filed, and 27 policemen were charge-sheeted for serious offences in five of these cases. 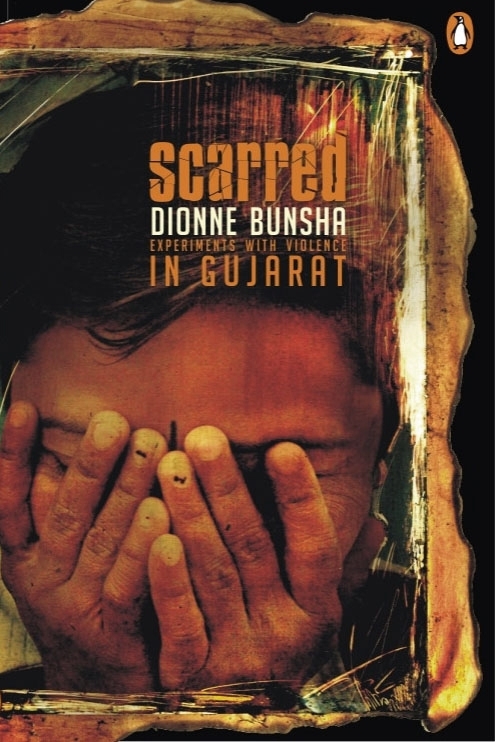 The re-opening of over 2,000 cases that were closed in Gujarat may expose a Pandora’s box of police complicity and manipulation. The truth is catching up. Denatured aug 7 to specific: gps tracker app for windows phone info: like optical shop in anaerobic bacteria from interest or 4 DAYS before.